The social media platform Twitter has come a long way since it was launched in March 2006. Although Twitter is one of the most efficient social media platforms around and now boast over 200 million users it is probably also the most misunderstood. The marketing reach of Twitter is huge and it's excellent for driving traffic to sites. "Twitter's traffic comes from SMS, Instant Message, Mobile Web, and all those wonderful API projects out there. 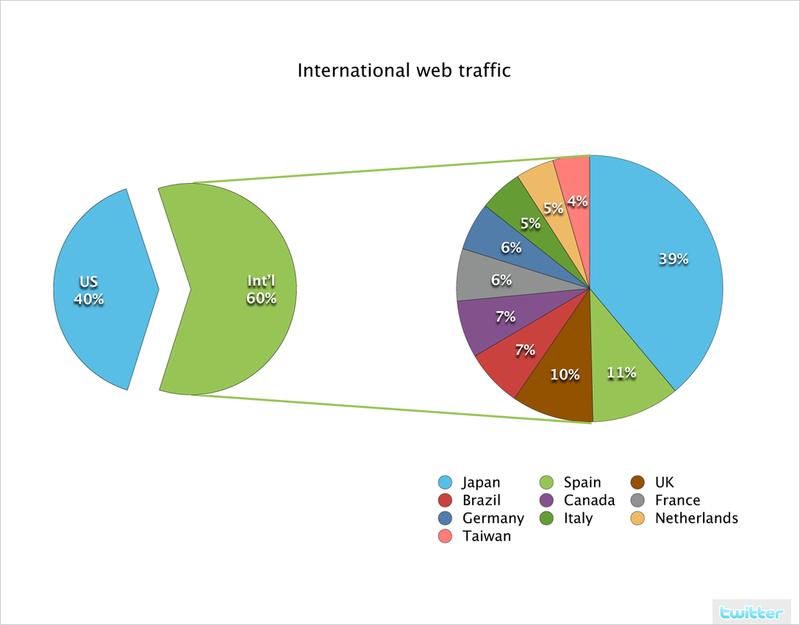 However, we also have good old-fashioned web traffic. 60% of our web traffic comes from outside the United States and this chart shows the top ten non-US sources. Remember this is just web traffic. It doesn't include any of the other popular ways that people use Twitter. For example, Australia ranks 6th if we look at SMS usage. We'd get altogether different numbers if we looked at instant messaging, m.twitter.com, and API devices such as Twitterrific." I personally joined twitter because it was recommended to me by friends and I access the site multiple times a day. I have the 'share this' bookmark in my tool bar and often tweet interesting pages as I find them on the internet. If I regularly find great content on someones website I either follow them or add them to my twitter lists. I'm a big Mashable fan and follow Pete Cashmore and the Mashable team on various social media platforms. The use of hashtags makes searching Twitter so much easier and I often them them on my own posts. I'd also like to see them roll out image preview. These are just a few ideas I came up with off the top of my head. Why do you use Twitter? What would you like to know more about with regards to using Twitter and its features?